← Awesome Unschoolers – Stories of awesome teens! The Chinese New Year greeting, Gongxi Facai (“Wishing You lots of Wealth!) 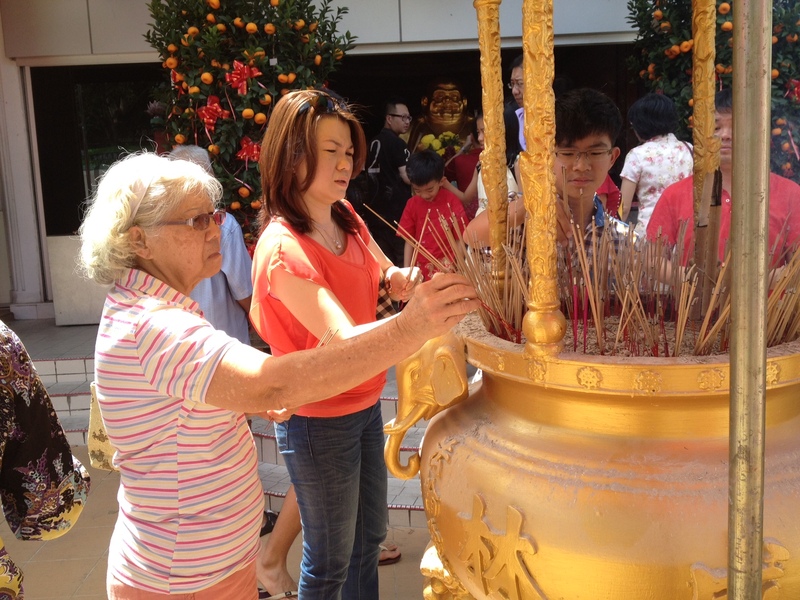 is so overtly money-centered, as with a lot of aspects of the celebration that I prefer to teach our kids to say “Xin nien kuai le” (New Year Happiness) and “Shenti Jiankang” (Healthy body) and other good wishes rather than the popular one. The Lunar New Year is traditionally celebrated to welcome the new lunar year with family reunion dinners, visit to temples for thanksgiving, serving tea to the elders and offering them gifts of food and money. My grandmother used to tell me that life was hard during her time and the hard-working folks who toiled their lands for a living did not have massive shopping malls like we have today. They sewed their own clothes and patched them when they tore. Hence buying new clothes for Chinese New Year was a luxury few could afford to indulge in. But for the rich folks, it’s a different story of course. People now buy clothing throughout the year, following latest trends and fashions. And having good food at expensive restaurants is also a norm for most city folks. So CNY is just an excuse to feast even more! We now celebrate it on a smaller scale, working on making it healthier with more fruits and vegetables on the table, doing away with the compulsory dishes like big fish and big prawns. The “low sung” dish is home-made with fruits in it and without the raw fish. Everyone enjoyed it so much better! Over the years, we have made a conscious choice to practise simple but healthy lifestyle with our kids. We used to buy clothes and other stuff once a year prior to CNY until they became teenagers. Because we practise careful spending (which means buying only when needed as opposed to buying to fulfill the “wants”), they have learnt to be careful spenders and smart buyers – the girls learn to look out for good buys like rm15-30 skirts & dresses – and good savers (saving the money rather than spending it). Before buying anything, they ask themselves: “Do I need this? Can I fix my old one? Is there a cheaper substitute?” But they also learned that cheaper substitutes may not work well in certain circumstances, so they have to be smart in their choices! Giving priority to spiritual practice like doing prayers and offering donations especially in our highly consumeristic society, is like giving kids a safe haven to breathe and to feel calmly contented, and a good practice of giving to charities that help the poor and the sick is important in teaching them to feel for others and to be thankful for what they have. This will teach them the joys of giving and not to be self-centered in their thinking and behavior. We started doing CNY caroling last year, going to each Clicvenger’s house to sing CNY songs. This year we went to the new members’ houses who hosted us with food and drinks. It was a lot of fun and generated a lot of love and laughter! House-visiting & caroling truly serves to create a happy atmosphere of love and friendship. everyone had a really good time together! The Chinese tea ceremony is a practise to show respect to the elders. Traditionally this is done on the 1st day of CNY when children and grandchildren offer tea to their grandparents and parents and wishing them well and happy. In turn, the elders give out angpows (red packets) to the young. Our family has been practicing this tradition with our children every CNY and this year, we decided to introduce it to the Clic kids! 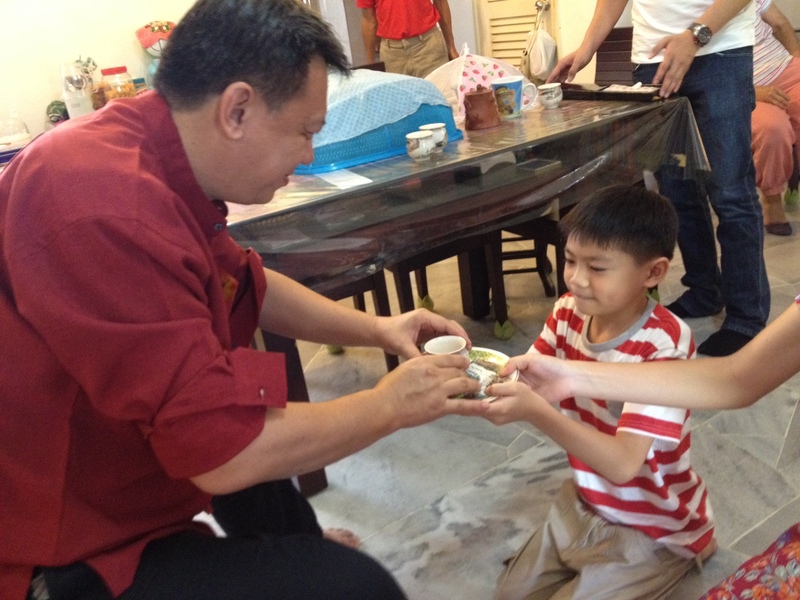 Everyone gathered at grandma and grandpa’s house in their CNY clothing and lined up to offer tea to them individually. It was very touching as the two elders were so happy to be served tea by so many kids at their house, which until that day, received no visitors. 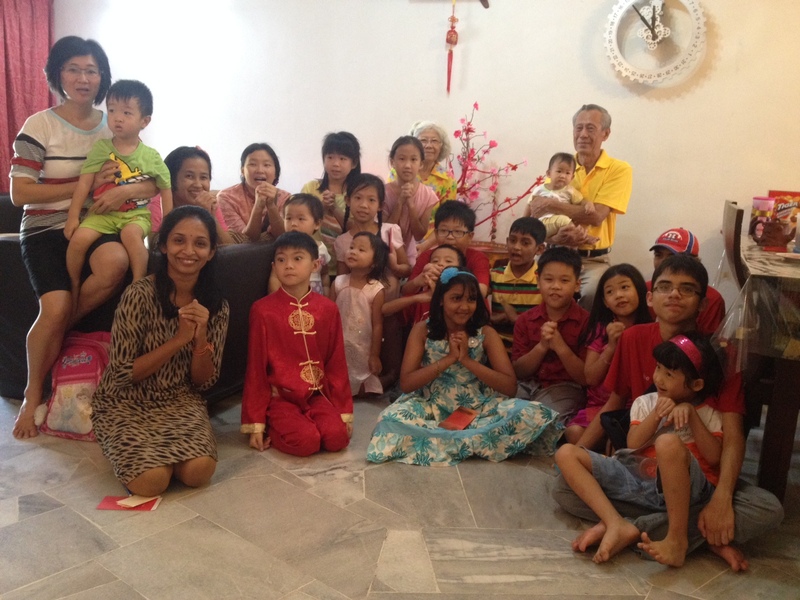 They were also treated to CNY songs by the children who sang with gusto! What a memorable day it had been. 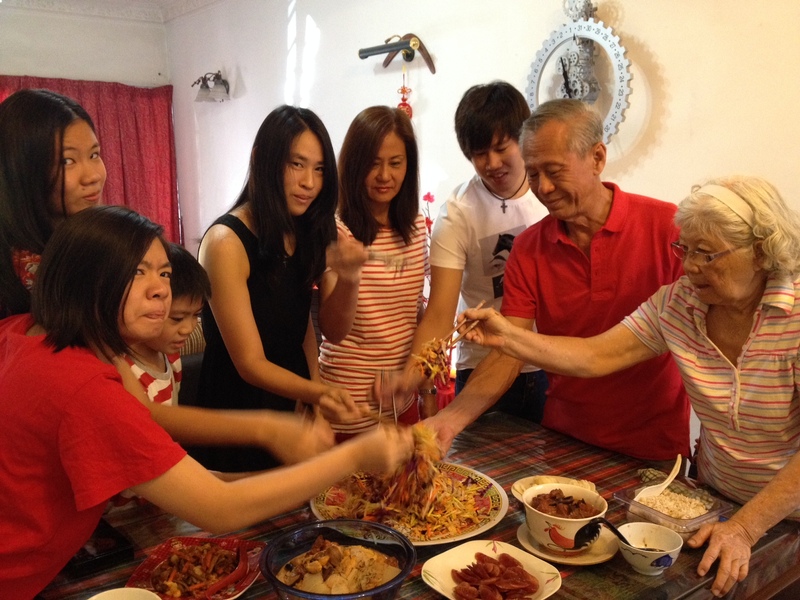 And this is how CNY should be celebrated – with friends & family, and with the culture & traditions kept intact. We also had non-Chinese guests joining us in our special celebration which makes it extra special! May this New Year bring you greater spiritual happiness and opportunities to practise inclusiveness through the sharing of culture & traditions! Xin nien Jin bu! New Year advancement to you and family! This entry was posted in Parenting, Personal, Thoughts and Ideas and tagged children, chinese culture, Chinese tea culture, chinesenewyear, CNY, community, Lunar calendar. Bookmark the permalink.